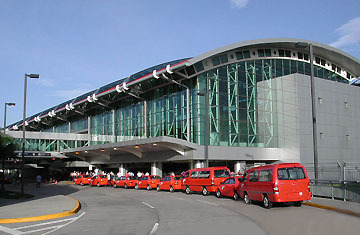 The first good news is that the much-awaited expansion of the Liberia airport is already underway and on firm footing. 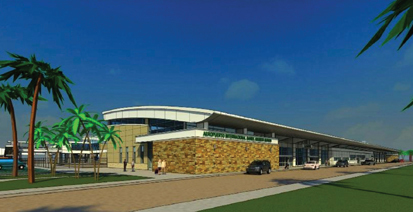 If progress continues at the present rate, arrivals to Guanacaste after August of this year will be very different: A two story terminal, boarding ramps, more amenities, new commercial areas, more service personnel and expedited processing through Immigration and Customs. This new terminal will not only expand to almost double the current operational capacity (it will be able to handle 1,500 travelers simultaneously), but it will also substantially increase passenger security and the quality of services provided to them. As part of the same plan, it will also increase the size of the runways to enable them to receive larger aircrafts. This expansion is an essential step in recharging the tourism industry in the province, which is now enthusiastically awaiting more news concerning the arrival of new flights. CATURGUA (Chamber of Tourism of Guanacaste) in conjunction with the ICT(Costa Rica Tourism Institute) and Mr. Carlos Benavides, Minister of Tourism, are working hard on this task. Beyond the additional flights that already have been confirmed from Denver and El Salvador, there is progress in negotiations for future arrivals to Liberia by new airlines from Eastern Europe, Asia and South America. Simultaneously, multiple “Fam Trips” (familiarization visits to present Guanacaste as a tourism destination) for wholesaler agencies from around the world are being organized for the coming months.